The last reservation of this item will conclude on May 2. For rentals that require shipping or a pickup at a non-headquarter location, please select a later date for your arrival. Headquarter offices are the only locations that can accept a same-day reservation, as transit time is not calculated in this date. 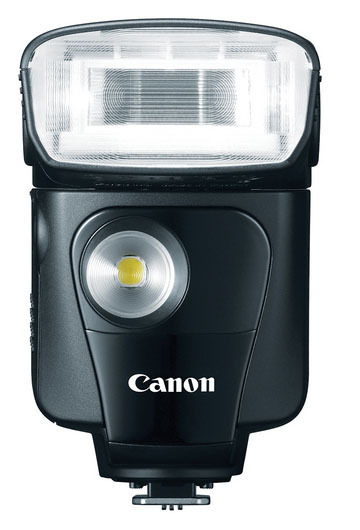 Canon's Speedlite 320EX is a versatile flash that includes an LED light on the front that can be used as a modeling light, an AF assist beam during Live View shooting, or to light up nearby subjects in low light for video recording. It will provide up to 4 hours of continuous lighting with fully-charged AA batteries. The 320EX is E-TTL- and E-TTL II-compatible using Type-A EOS cameras, and it has a guide number of 78.7'/24m @100 ISO at 24mm. Vertical and horizontal bounce capability gives you more lighting options, as does the Wireless Slave function that supports 3 groups and 4 channels, allowing the flash to be used off camera. 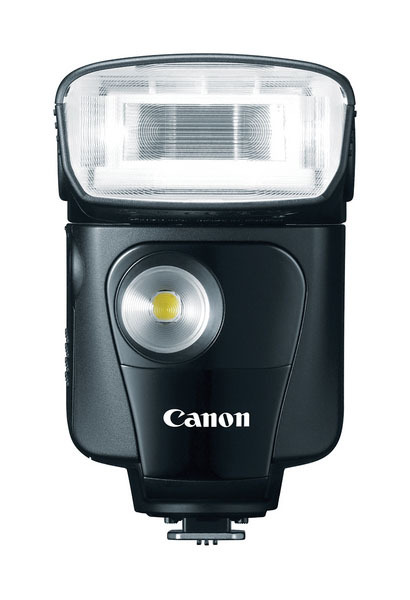 You can vary the flash coverage and guide number by manually extending or retracting the flash head, using the Normal or Tele positions. Additional information can be found on the manufacturer's website. This flash requires 4 AA batteries to operate and they are not included. This flash does not have a red test flash button. A flash foot is not automatically included with your rental. If a flash foot is needed, please select the option, before added the rental to your cart.